Richard Fitzwilliams has given over 800 TV interviews and taken part in numerous radio interviews. He is a public relations consultant, royal commentator and film critic and also gives interviews on the honours system, film awards ceremonies, portraiture, etiquette and obituaries. He is a contributor to CNN (live commentary of Spanish royal wedding, Prince Rainier’s Funeral and opening of Princess of Wales Fountain, the Queen’s Diamond Jubilee Address to both Houses, Inauguration of King Felipe VI, Duke and Duchess of Sussex’s wedding, film reviews, film awards ceremonies etc. ), BBC News (film reviews, honours, royal stories, obituaries), Sky News (royal and film stories, honours, obituaries) and Al Jazeera (royal stories, films). He is an occasional contributor to CBC, CTV, BBC Radio 4, Radio 2, Radio 5 Live, BBC World Service, BBC Radio Wales, BBC Radio London, BBC Radio Scotland, LBC, BBC Radio Ulster, TalkRADIO, TalkSport, Siren FM (co-presenter 2011-), Newstalk 106 (Dublin) RTE, Network 10 (Australia), RTL, ZDF, Radio New Zealand, Newstalk ZB, Arise News, Channel 7 (Australia), ABC, NBC and CBS and numerous local radios. He did 90 media interviews on the wedding of the Duke and Duchess of Cambridge, 80 on the birth of Prince George, 60 on the Queen’s Diamond Jubilee, 30 on the 20th Anniversary of the Death of Diana, Princess of Wales, 25 on the Duke of Edinburgh’s retirement and 50 on the engagement between Prince Harry and Meghan Markle. He covered their wedding live for The Royal Box for Yahoo.com and did numerous CNN pieces, also BBC World, France 24, NHK and numerous other TV and radio interviews. He is the regular weekly film critic for Talk Radio Europe (Spain) and Siren FM (Lincoln), a film critic for www.Movies1.tv (online) and a paper reviewer for TalkRADIO. Richard Fitzwilliams has a unique background for this kind of specialised activity, having been Editor of the prestigious THE INTERNATIONAL WHO’S WHO, the standard work of its type, from 1975 to 2001. He also arranged and fronted the publicity and met many of the entrants. He has his own company, FITZWILLIAMS ASSOCIATES, and has promoted the annual exhibition of THE ROYAL SOCIETY OF PORTRAIT PAINTERS since 2002 and THE THREADNEEDLE PRIZE for figurative art for five years, both at the MALL GALLERIES. Richard Fitzwilliams has also promoted exhibitions of the works of top portrait painters, MICHAEL NOAKES and DAPHNE TODD (promoted exhibitions 2009, 2012, 2015), a portrait of the QUEEN by JEFF STULTIENS, a portrait of TONY BLAIR for sculptress SHENDA AMERY, an exhibition of photography by JURGEN SCHADEBERG, a HELP FOR HEROES event at the Naval and Military Club and THE LYNN PAINTER-STAINERS PRIZE as well as the ALEXANDER GOUDIE RETROSPECTIVE at the MALL GALLERIES in 2016. Since 1997 Richard Fitzwilliams has been a contributor to THE LONDON AND UK DATEBOOK, the quarterly magazine for event managers for which he writes the ARTSCENE column and reviews charitable events. He covered LONDON FASHION WEEK for some years. He recited from Shakespeare to raise funds for THE GLOBE with MARK RYLANCE, debated at the UNIVERSITY OF LONDON and appeared in several films including HARRY POTTER AND THE PHILOSOPHERS STONE and I CAPTURE THE CASTLE. HELLO magazine has done a profile on Richard Fitzwilliams. Richard Fitzwilliams has given talks at the National Army Museum, Hurlingham, HQS Wellington and various other clubs and societies on his specialist subjects such as royalty, Who’s Who, the Honours system, “swords and sandals” epics and on Mutiny on the Bounty, including fronting and scripting two events at the CINEMA MUSEUM in 2014. He has also been a guest lecturer at the Universities of London, Holt and Syracuse. Full page articles by him appeared in the Express on Who’s Who and on the Honours System in December 2010, on royalty on screen in 2012, on biblical epics in 2014 and online on the Queen and Duke’s Platinum Wedding Anniversary in 2017. 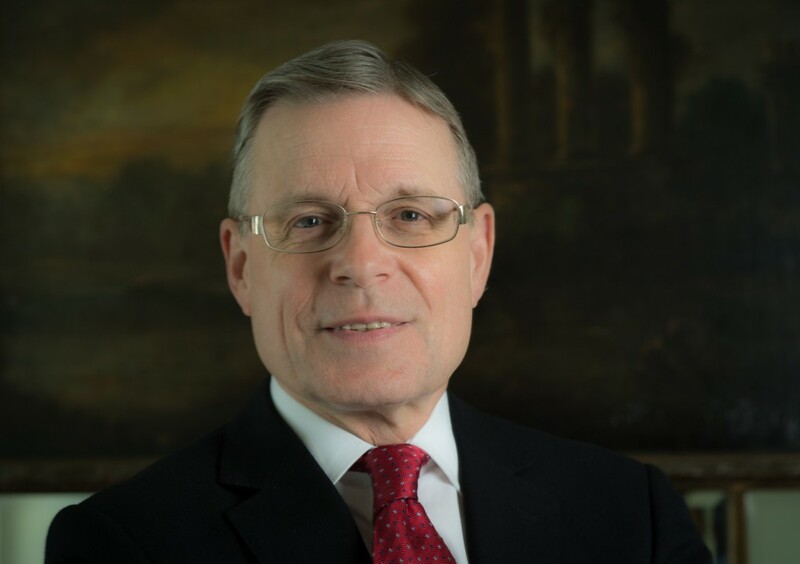 Richard Fitzwilliams has attended an unusual mix of London events, including NELSON MANDELA’s address to both Houses of Parliament, the famous Commons debate where HESELTINE wielded the mace and the post-premiere party of FOUR WEDDINGS AND A FUNERAL where ELIZABETH HURLEY wore ‘That Dress’. Ivana Trump’s engagement party at SYON HOUSE was the most spectacular of its type. The BALLROOM at BUCKINGHAM PALACE, dressed for a State Banquet, which he reviewed, was unforgettably gorgeous as was LA SALLE DES FETES at the ELYSEE PALACE. He attended the preview of PETER O’TOOLE’s notorious MACBETH and also the Celebration of his remarkable life, both at the OLD VIC.